Studying this poem and then creating a sort of copy-cat poem from it is a great activity for your students (and YOU) to do. This poem, Where I’m From written by George Ella Lyon, is a touching one that gives insight to the person who wrote it through the senses and visualization. From family sayings to the smells that bring her childhood to life, it is like a time capsule of memories: an opening to a her heart and an inside secret all in one. To get you started, here are some links and ideas to help bring the poem into your classroom. Play this multiple times for your students and ask them to give their reflections on the poem. What parts of the poem stand out to you? 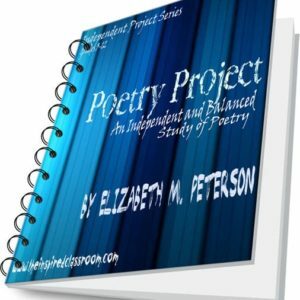 What creates a sense of flow and rhythm in the poem? What images come to mind as you listen to/read the poem? What conclusions can you draw about the poet from the things she has described? Get your free idea gathering worksheet. Print this worksheet for students to gather ideas for the poem. 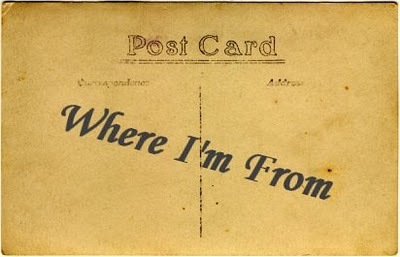 Following a brainstorm, and before giving students time to write theirs, invite students to study the poem, noticing where Lyon writes “I’m from…”, “from…” and uses lines to further describe some aspect of her childhood. My bed, chair, and couch. My mom, dad, sister, and Grandma That comfort me when I’m sad. And candy apples waiting on a napkin. my pink, glistening camera, and my quilted scrap-book It is these memories I will never forget. which make me shiver in the cold. Which I go through every summer day I know it by heart. and lullabies my dad made up for us as babies. that all belong to my home. I hope you try this in your classrooms. Please let me know how it goes.